Now I'm getting to the process when things starts to become a little more productive. 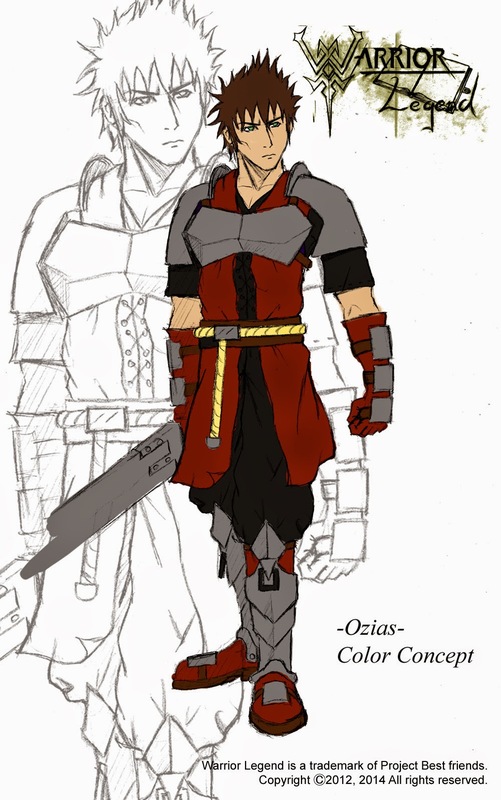 Here we have a artwork of the main protagonist Ozias with color (the drawing itself is not new and can also to be found under WL artworks). This coloring is just to give the idea of how he will end up, and it gives more life to the character. Some more detailed colored artworks of Ozias will come later on so changes may occur. (the sword in his right hand is not final). The plan now is to start working on the storyboard for the first chapter of WL, this will take some time, meaning I can not promise a update every week right now, but I will try my best of course! Hope you get a bit more feel for the character Ozias? Warrior Legend, Ozias in color.